One of the first things Democratic Senate Leader Andrea Stewart-Cousins did when she took over the chamber in January was to announce hearings on the state’s anti-sexual harassment policies. “We need to deal with the scourge of sexual harassment in the workplace,” Stewart-Cousins said in a speech in the Senate on January 9. In 2018, Democratic Governor Andrew Cuomo and three male legislative leaders agreed on reforms to the state’s anti-sexual harassment policies. The process was criticized at the time because it excluded the only female legislative leader, Stewart-Cousins, who was then minority leader of the Senate. One of the leaders, Senate Independent Democratic Conference Leader Jeff Klein, had been accused of sexually harassing a former staffer. Klein denies the charges. He later lost his seat in a primary. The woman who says Klein forcibly kissed her at an Albany bar during a post-budget celebration in 2015, Erica Vladimer, is now part of the Sexual Harassment Working Group. It is made up of several women who have experienced or reported being victims of sexual harassment by state lawmakers. Vladimer and other members of the group have signed up to testify. She spoke in an interview in January, when the hearings were first announced. Senator Krueger, a Democrat, says a major oversight in the state’s revised sexual harassment regulations that needs to be fixed is that employees of the legislature are not covered by the new rules. That’s because legislative staffers don’t fall into normal employment categories since they are appointed by elected officials, and essentially serve at the pleasure of the official. 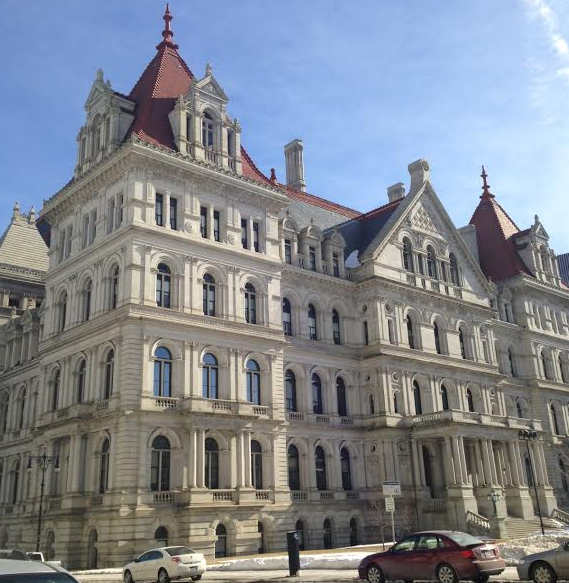 Krueger says a recent court ruling regarding a former Cuomo administration economic development official also illustrates weaknesses in the current rules on sexual harassment. A judge dismissed a harassment case brought by a woman against Sam Hoyt, a former Assemblyman from Buffalo who worked for Cuomo’s economic development department. The woman alleged that Hoyt found her a job through the state’s patronage system at the Department of Motor Vehicles, then expected sexual favors in return. Hoyt denies the charges, but admits he paid her $50,000. The judge found no grounds for the suit because, in part, they worked at different state agencies, so an employment relationship could not be established. It looks like New York's 213 state lawmakers are getting a pay raise despite some last-minute hopes the package could be modified. Alessandra Biaggi is one of fifteen new New York state senators who will make up the Democratic majority in that conference in January. Biaggi defeated Senator Jeff Klein, the former leader of a group of breakaway Democrats who were criticized for often helping Republicans stay in power in the chamber.